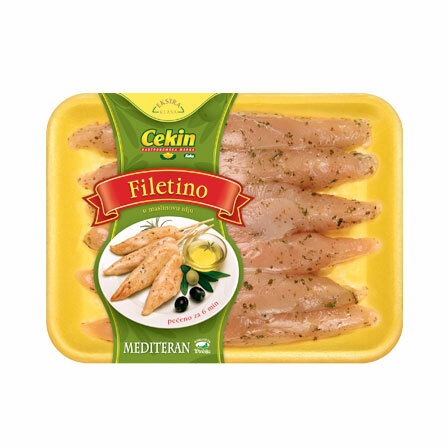 The Cekin brand presents a whole assortment of products ready to be prepared quickly on the grill. Our products, enriched with mild spices and various flavours will improve your outdoor lunch and delight even the expert barbecuers among us. 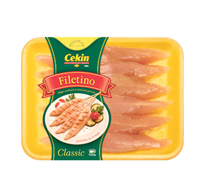 Filetino Classic is the original Filetino made from top quality, fresh chicken breast. Mildly seasoned with dry vegetables, which makes it a mouth-wateringly tasty, easily digestible, low calorie and low cholesterol product. Rich in proteins and ready in no time. The finest chicken breast is marinated in a magical mixture of lemon juice and sunflower oil combined with green and red pepper. 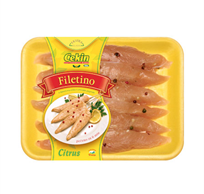 The refreshing lemon note gives Filetino its exceptional aroma and taste. 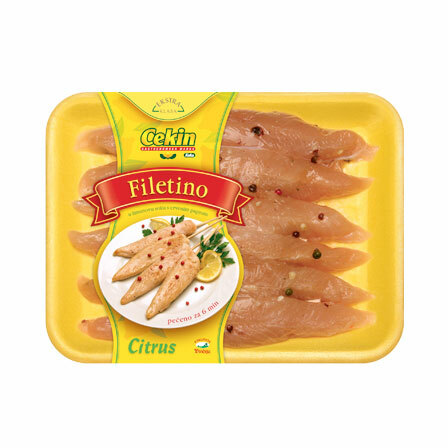 The health benefits of lemon, which have been known as ‘the cure for everything’ in China and India for centuries, today are widely known, so this precious citrus is now grown throughout the globe..
Filetino Aromatico is made in the delicious marinade of apple vinegar, chives and garlic. The ideal combination of aromatic spices in the marinade gives Filetino the status of a real gourmet treat. And it doesn’t stop there - Filetino Aromatico is works for your health as numerous research shows that the regular consumption of apple vinegar causes your body to burn fat, rather than store it. The gentle chicken fillets marinated in extra virgin olive oil and marjoram give Filetino a refined taste, Mediterranean style. Olive oil contains hundreds of different micronutrients that benefit your health, and is also rich in polyunsaturated fatty acids. 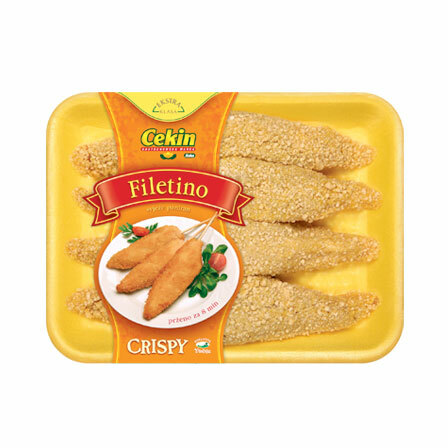 The original Cekin Filetino in a traditional breading is ready to be fried and made into a delicious breaded piece of chicken on a stick! The advantage of Filetino Crispy is the short preparation time, so modern cooks and all those forever short of time will enjoy preparing this fresh meat dish of a traditional taste and aroma, to the satisfaction and joy of the whole family.